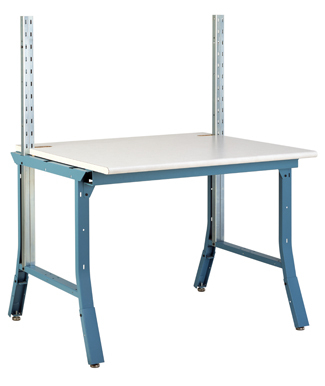 The Kinatechnics System 1 is available in single- or double-sided workstation versions. 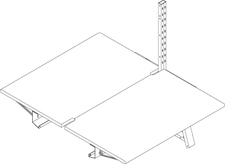 Use it as a stand-alone bench or connect add-ons for an “in-line” series of benches. 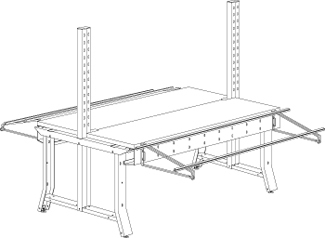 Cold-rolled, 12-gauge steel construction and H-leg design make these workstations truly heavy-duty and capable of supporting a 750-pound evenly distributed static load. 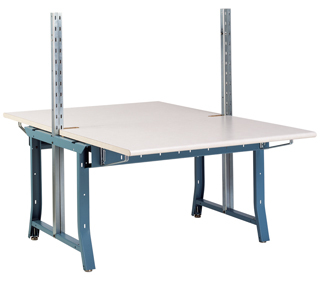 Worksurfaces are 1-1/4" thick, high-density particleboard, finished with high-pressure laminate and have a 180° rolled front edge for comfort. 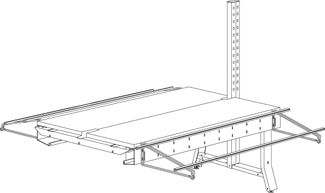 A built-in upper structure is slotted in 2" increments making addition of shelving and lighting a snap. 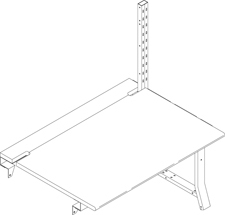 The Kinatechnics leg extension option makes the worksurface height adjustable to 30, 33 or 36 inches.